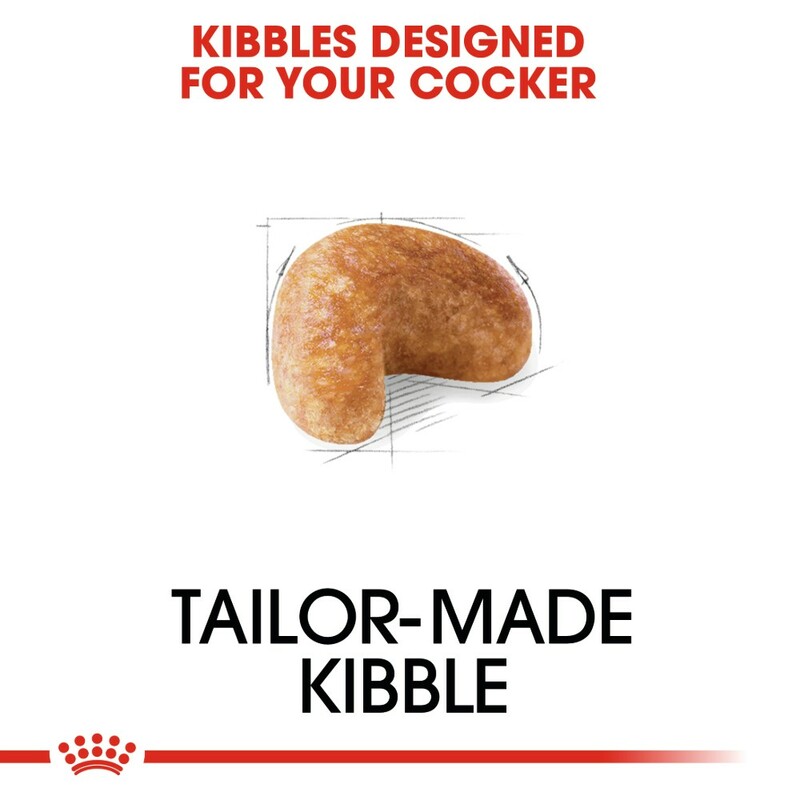 The term ‘cocker’ comes from this breed’s initial use for hunting woodcocks. Although woodcocks can now consider themselves safe around the Cocker Spaniel, the breed has maintained its reputation for outstanding physical abilities. The Cocker Spaniel also has a tendency to display a sensitive digestive and immune system, and sensitive skin. 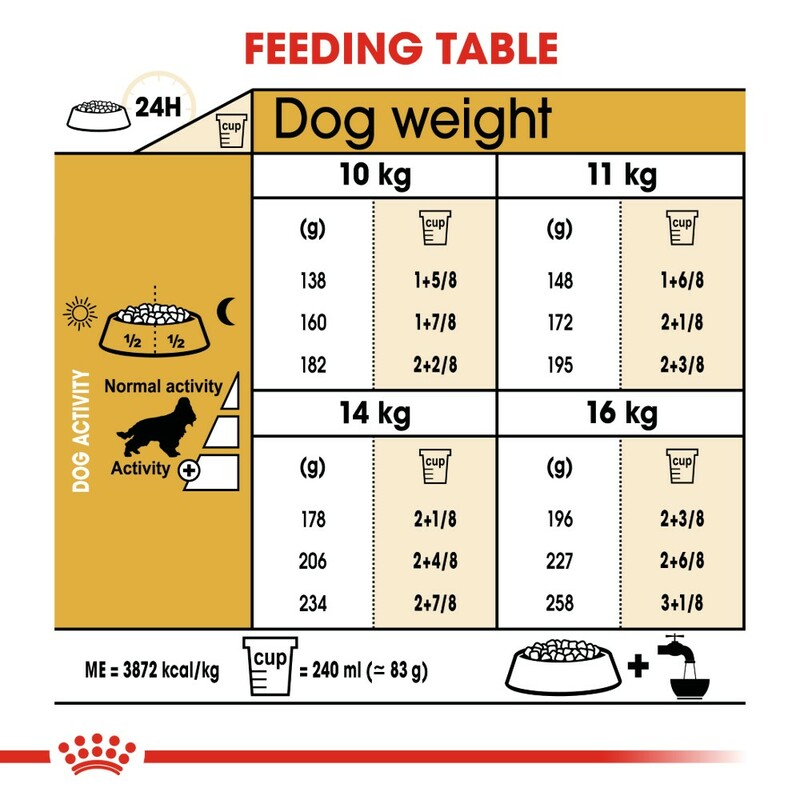 Royal Canin knows all of this, and has formulated Cocker Spaniel Adult to ensure optimal digestion, joint support and strong natural defences. 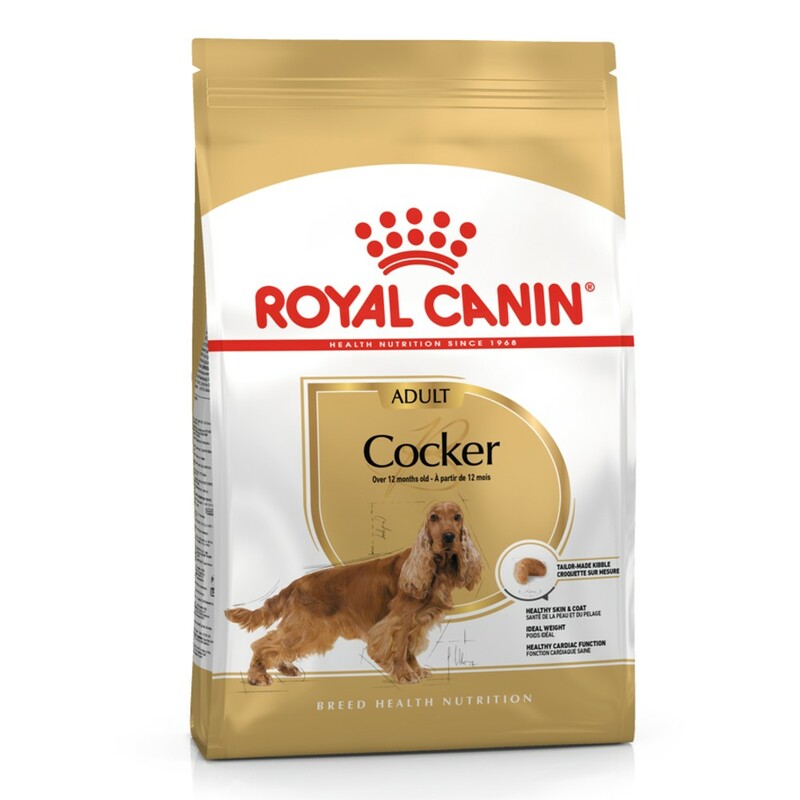 Enriched with borage oil, it also helps support the skin’s optimal Ph level and maintain the glossy beauty of the Cocker Spaniel’s coat. supports the skin’s ‘barrier’ role and nourishes the coat. COMPOSITION: rice, maize, dehydrated poultry protein, maize gluten, animal fats, hydrolysed animal proteins, beet pulp, vegetable protein isolate*, fish oil, minerals, psyllium husks and seeds, soya oil, fructo-oligo-saccharides, hydrolysed yeast (sourceof manno-oligo-saccharides), borage oil (0.1%), green tea and grape extracts(source of polyphenols), hydrolysed crustaceans(source of glucosamine), marigold extract (source of lutein), hydrolysed cartilage (source of chondroitin). Additives (per kg): Nutritional additives: vitamin A: 30900 IU, vitamin D3: 800 IU, E1(iron): 49 mg, E2 (iodine): 4.9 mg, E4 (copper): 9 mg, E5 (manganese): 64 mg,E6 (zinc): 192 mg, E8 (selenium): 0.11 mg. Technological additives: Pentasodium triphosphate: 3.5 g. Preservatives - antioxidants. 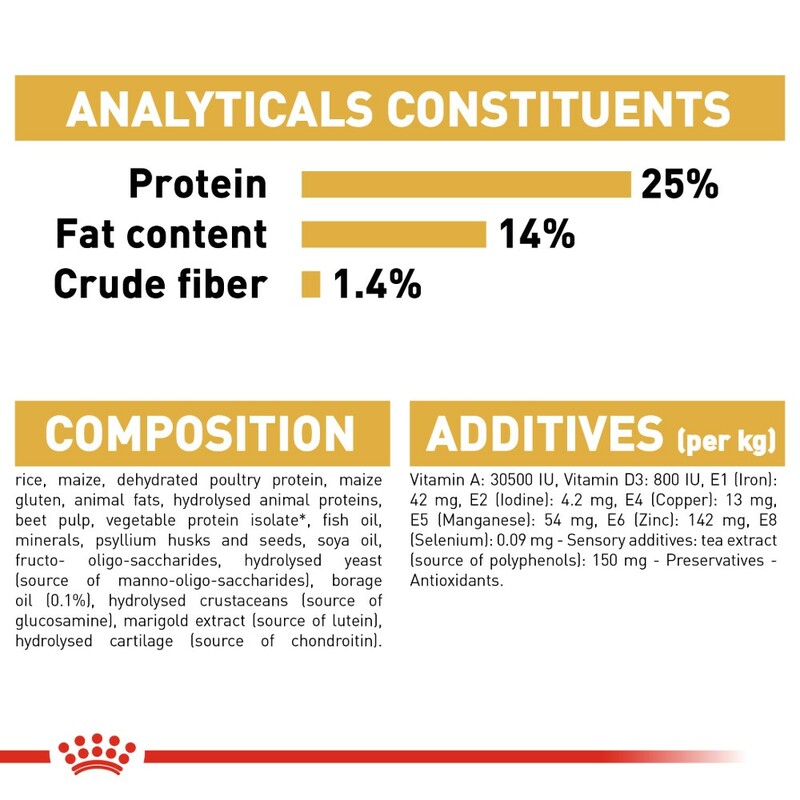 Analytical constituents: Protein 25%, fat content 14%, crude ash 4.8%, crude fibres 1.4%. *L.I.P. : protein selected for its very high assimilation.